Clarence John Laughlin (1905–1985) of New Orleans is arguably the father of photographic surrealism in America. He was best known for his photographs of old plantation homes and his book, Ghosts Along the Mississippi, but his life’s work was varied and broad. Laughlin was a mainstream photographer who was published in many national magazines. His contemporaries and associates included photographers Minor White, Wynn Bullock, and Edward Weston, as well as legendary editor Maxwell Perkins. Laughlin was, however, often marginalized and ignored due to misunderstandings of his work and his often volatile personality. Equally annoying to many was his devotion to capturing images that depicted, with a zealous and sometimes disturbing sense of self-righteousness, the evil and poverty that he saw in the world. A. J. Meek looks into the controversial life of one of the greatest photographers in American history. 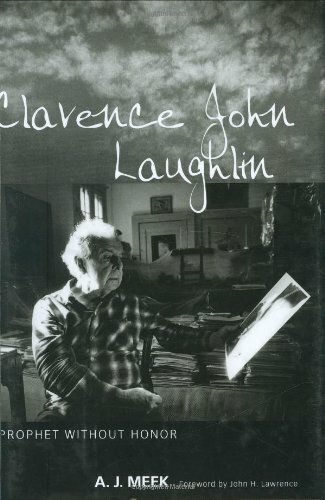 Through interviews with Laughlin’s colleagues, friends, and family, the author details the tumultuous connection between the struggles of the artist’s life, including strained professional relationships and failed marriages, and the work that brought him fame.